Marriage is our happily ever after. You found the perfect partner, had the fairytale wedding, and now your world is as sweet as sugar, right? Here's the reality: life hits hard after "I do." Running a household, keeping your relationship fresh, restraining yourself from audibly sighing at your other half (did I say that? ), and working as a team can get difficult. Are there ways to combat these issues? Absolutely. I am not an inherently organized person. Throw someone else in the mix, and life is traumatic for keeping things straight in my household. Unwashed dishes, overflowing laundry, and apocalyptic final notices from the credit card companies are not an option according to my hubby. What's the solution? A foolproof written organization system. What Kind of Man Does a Sagittarius Woman Marry? All you need to do is know how to count to ten and remember the letters A, B, and C. Easy. Take 10 to 15 minutes every evening to plan out your next day. Put your high priority items in the A column then sort those in number order. A bill that needs to go out ASAP is "A1," and a big deadline is "A2." Stack the "maybe I can get these done tomorrow" items in the B column and the "these can wait a few days" items in column C.
At the end of each day, bump some items up in priority from every list, and then watch the magic start to happen around your home! Unnecessary stress will melt away, and you'll have more time to spend with your honey. Managing the house is everyone's job, period. This includes taking out the garbage, cooking, paying bills, calling the plumber after you throw an entire bag's worth of potato peels down the sink, and so forth. You both should pitch in and take on 50 percent of the work. You both live in your home. Here's the catch, everyone wants it done, but no one wants to do it. My man and I make cleaning day a time we don't entirely dislike by blasting some tunes and making a dance party out of it. 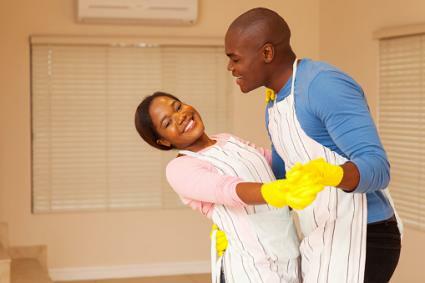 Sure our neighbors might dread Sunday afternoons, but we get our home sparkling clean one tune and terrible dance move at a time! Not only will this bring the two of you together during a typically hair-tearing-out awful time, but it keeps you both laughing while getting the work done. You can also do this on your own. It still makes the job much more enjoyable. Are you tired of frequenting the same locations for date night time and time again? Not to knock these places because they are classics, but sometimes you should switch it up. It sounds like you are in need of a date night jar. "Oooo, what's this mystical thing?" you might be asking. 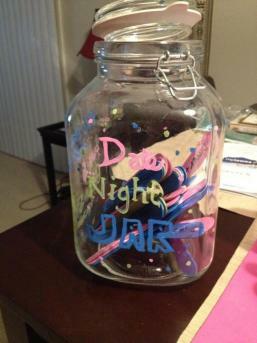 A date night jar is a simple way to spice up those nights out-it's pretty magical. Start by decorating a jar and grabbing a bunch of popsicle sticks. Out of the overall count of popsicle sticks, paint half of them blue. In the remaining unpainted pile, paint two-thirds of them pink and a third green. This breaks down to a ratio of roughly one half blue, one third pink, and the remaining sixth green. Divide the colors evenly between the two of you. The blue sticks are at-home dates and won't cost much. These are the pizza bake-offs, Kinect tournaments, and themed movie night in dates. The pink sticks require you to go out and spend a little. These dates might be a go-kart race, a beer tasting at that brewery you've always wanted to go to, or scouting out the craziest ice cream flavors you can while keeping comprehensive stats. Lastly, the green sticks require planning and a little more money. These are dates that might include a theme park day, heading to the zoo, or going to a sporting event. The only rule about the date night jar is once you grab a stick, you have to follow through on it. Trust me when I say you'll discover new places and exciting activities on the regular. The commencement of the inter-residential Cold War shouldn't be the only cause of quiet-time in your household. Do you ever take a few minutes to sit back and enjoy the silence? In our society, breaks in conversation are seen as uncomfortable, but when you think about it, comfort in silence also comes with security in a relationship. Besides, why do you have to feel the need to be talking if you have nothing to say? Topics can get stale, put on loop, or even aggravating if they are fillers. Give the time to yourself instead. Grab a coloring book, solve some Sudoku (my hubby's go-to), watch a scary movie between the safety of your index and middle fingers (guilty), or simply sit together while enjoying each other's company. Give yourself and your spouse some space to breathe. It'll make your conversations more exciting, and you might find that competitive speed chess is your second love. I know our walls have become a lot more colorful due to my newly found artistic hobbies. 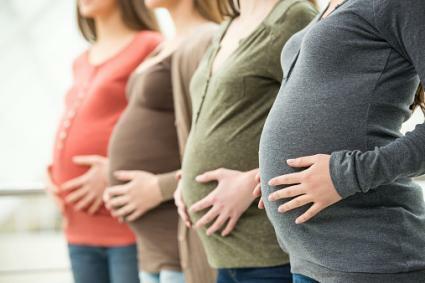 Ok, John and Brandy bought a house, and Christine and Steve are having a baby. If you are upset, what is the real issue here? Is your life or relationship lacking something you desperately want, or are you just trying to keep up? Likely the latter. Are you spending a lot of time on your social media accounts? More often than not, people only post the life that they want you to see. When everyone else seems to have their life perfectly put together while you are spectating, it can leave you feeling depressed. We're all guilty of it! Here's how you solve it. Put down your phone, turn off your computer, and power down your tablet when this happens to you. Talk (or cry…no judgment) it out with your partner. Forget about what everyone else is doing around you because (spoiler alert) they're in the same boat as you! With a new house comes added expenses; with a new baby comes added responsibility. Enjoy what you have and be happy for the achievements of others. Your time will come, and you'll be happier in the meantime. FYI: meditation is a big help in this situation, and Buddhify is a great app to get you started! Saying "I do" is a big, exciting, and stressful decision, but there are ways to navigate through the rocky waters if you take the time to map them out. Always remember, happiness is a choice. Repeat that. Matter of a fact, repeat it every day. As long as both of you play on the same team, you can climb mountains smiling and laughing a greater majority of the way.